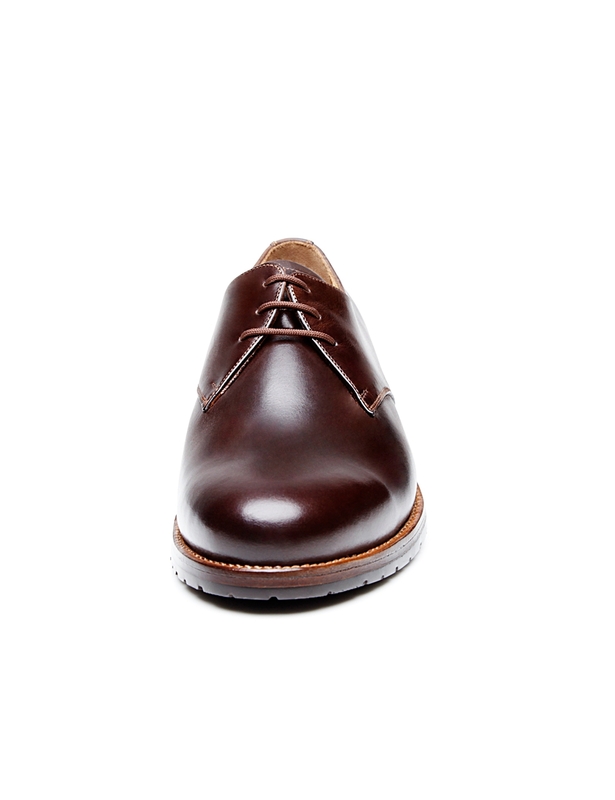 Double Sole with Rubber Lug Tread A leather midsole is reinforced by a water-repellent outsole with a rubber lug tread in an elegant design. 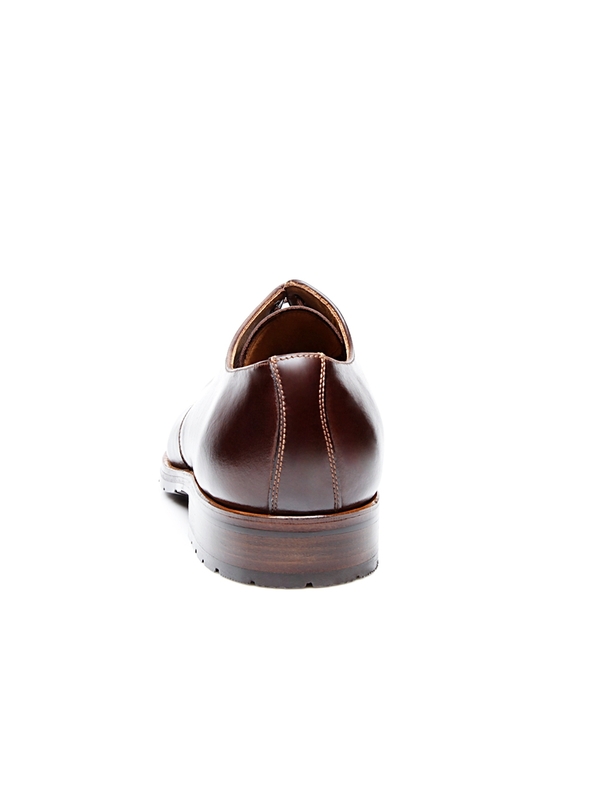 The double sole ensures durability — ideal for cold, wet conditions. 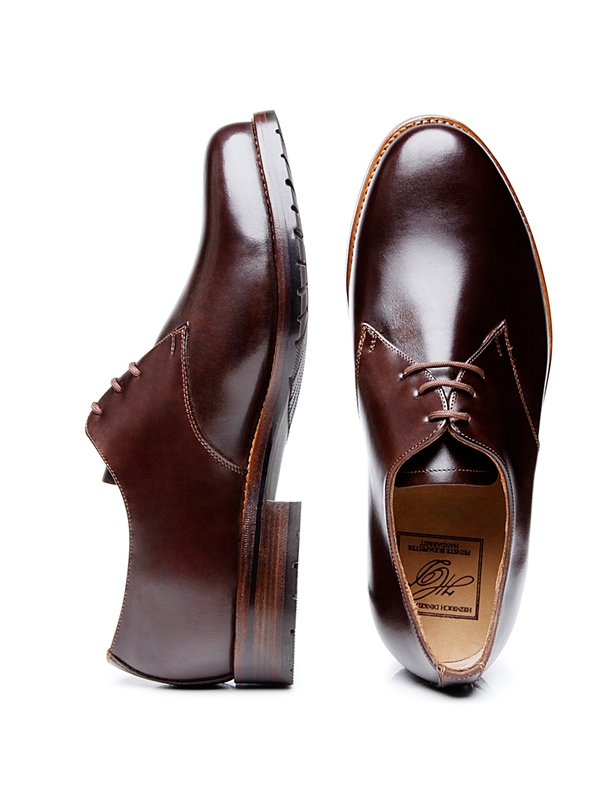 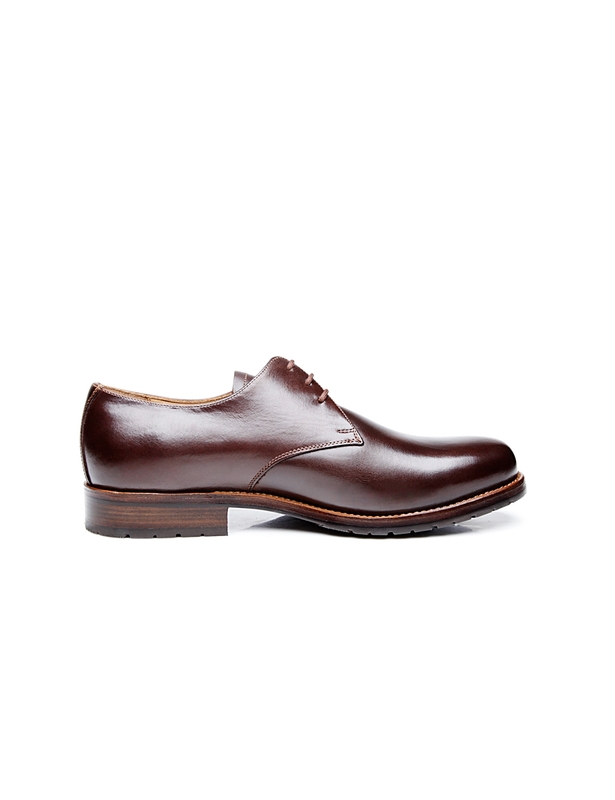 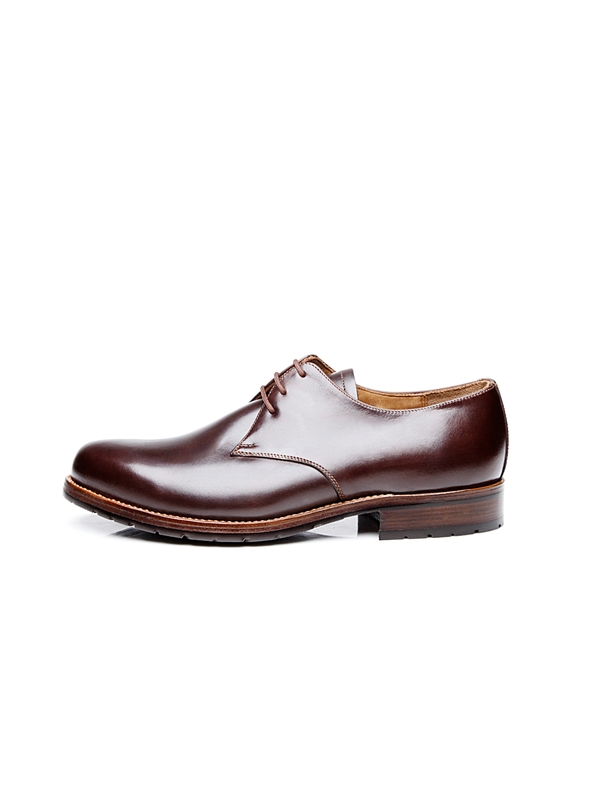 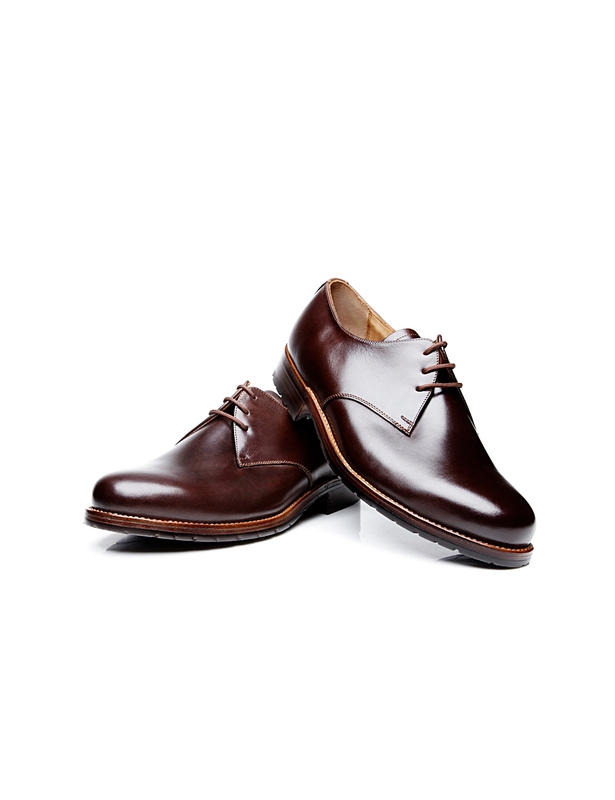 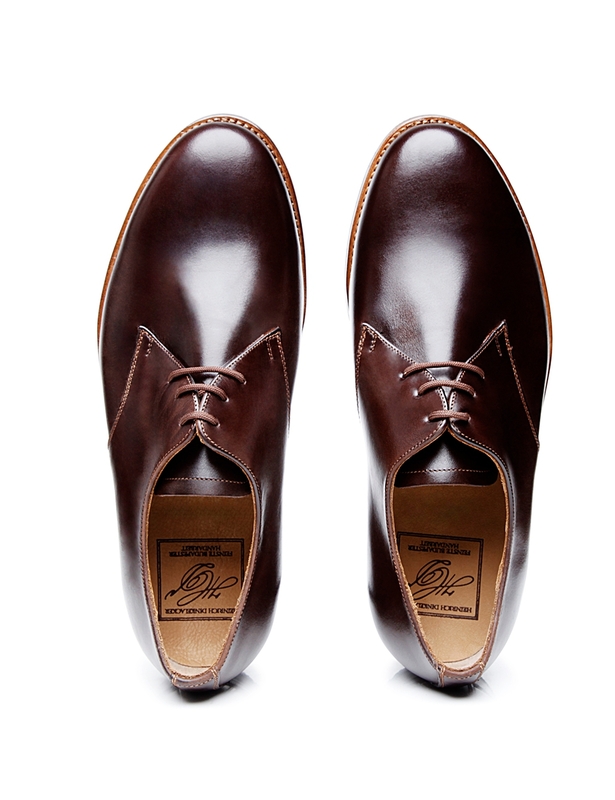 This classic, elegant men's shoe boasts an extremely generous width. 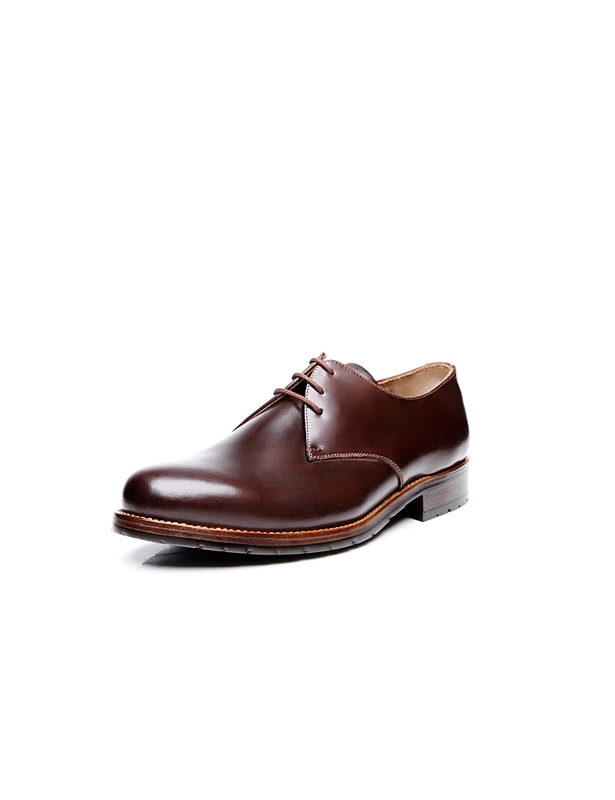 Made using an extra-wide last, this sewn-welted plain Derby ensures the utmost wearing comfort, even for demanding gentlemen. 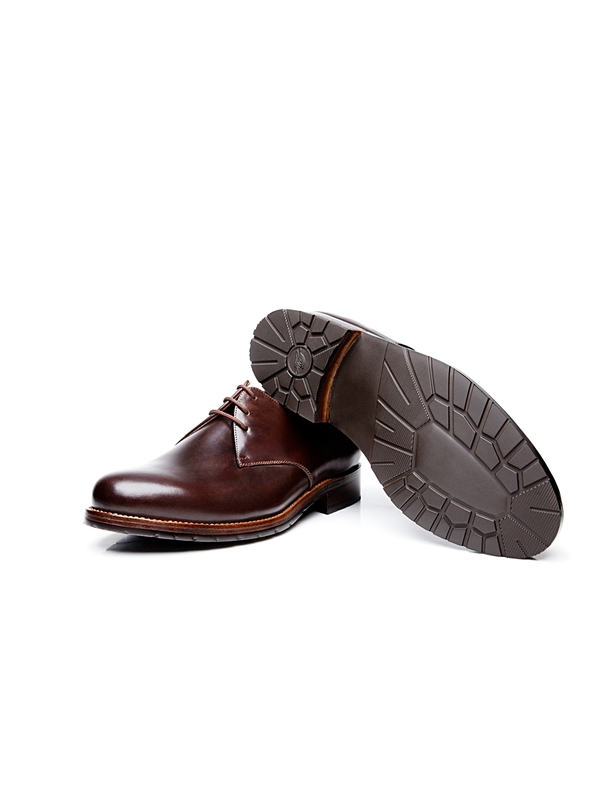 The waxed, greased nubuck used to make the shaft is extremely durable and, thanks to a waterproofing treatment, water-repellent as well. 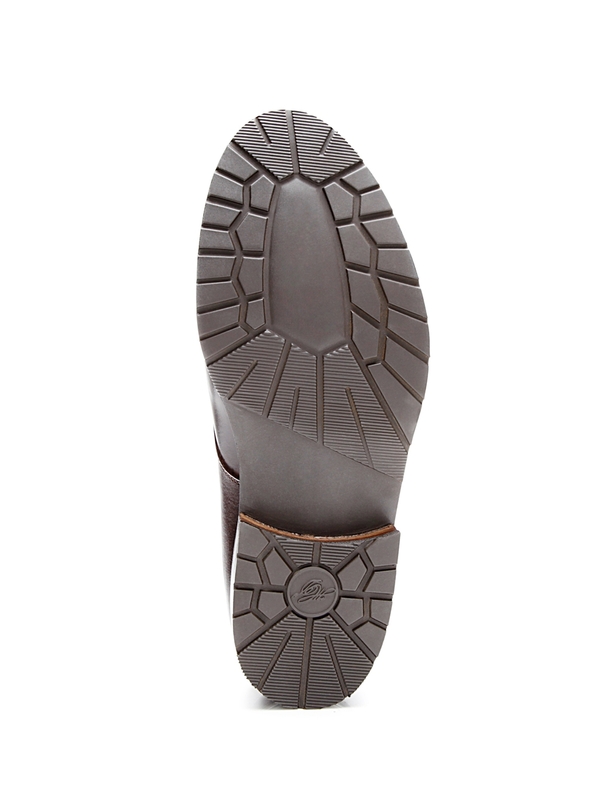 These waterproofing properties are enhanced by a subtle rubber lug sole. 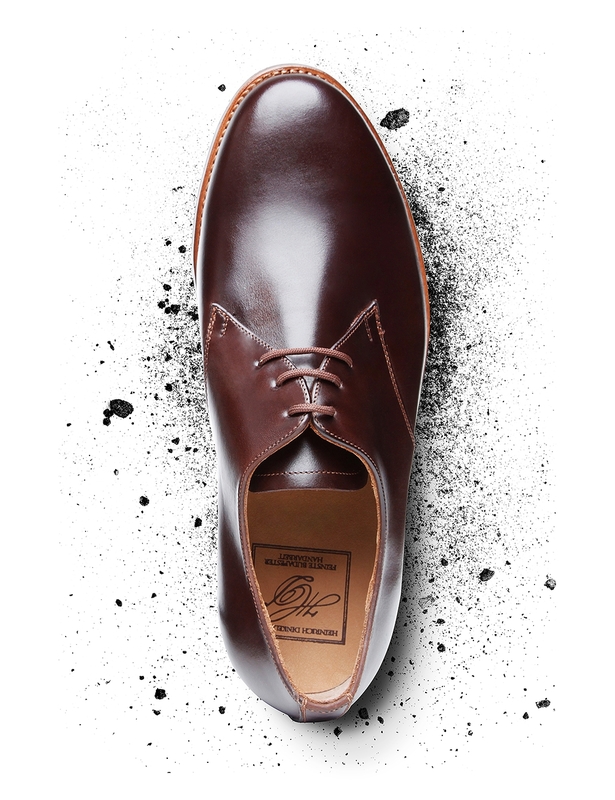 Said sole reinforces the flexible leather midsole and prevents moisture from seeping in, thereby increasing the lifespan of this handcrafted lace-up shoe. 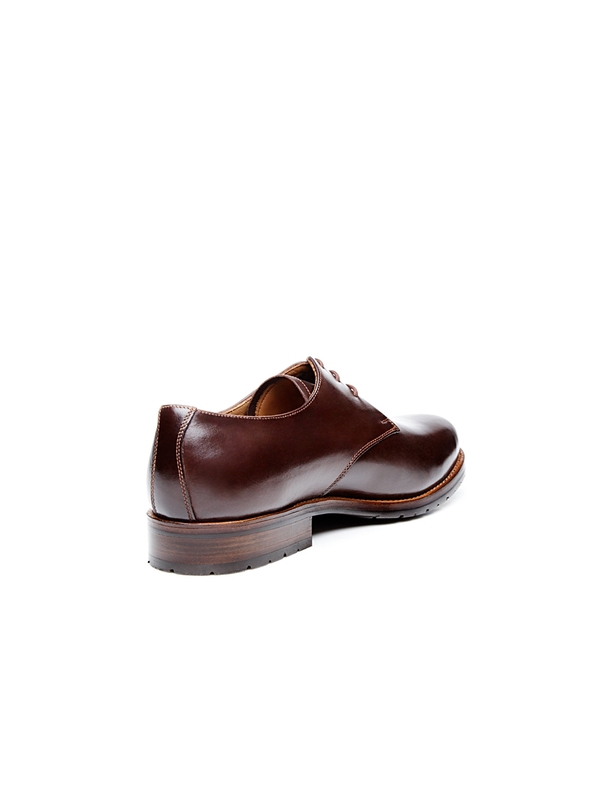 At the same time, the rubber sole is so narrow in design that it hardly catches the eye.